Fisherman’s Landing Tackle Shop is your source for the most extensive line of Saltwater Fishing Tackle, Lures, Rods and Reels available! Shop polarized sunglasses and performance gear at the official Costa Sunglasses online store. Grab your Costas and See What’s Out There! Hookup Baits is a designer and manufacturer of custom fishing lures, baits and specialty jigs in San Diego, CA founded by expert fisherman Chad Gierlich. Handmade in the USA. 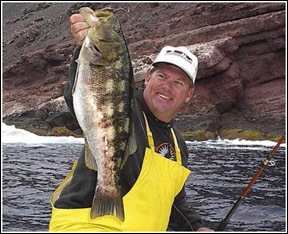 Let San Diego Fishing Guide, Captain Bill Schaefer show you the exciting fishing San Diego has to offer. Whether visiting or a local wanting to learn hot new techniques, a guided trip with Captain Bill will fit your needs. Specializing in light tackle inshore fishing, and with over 45 years experience on Southern California’s waters, you are sure to enjoy a pleasurable trip with Captain Bill. Enjoy the experience of sleeping over the ocean at one of our amazing cottages at Crystal Pier Hotels. Our cottages redefine San Diego beach hotels. Barnacle Bill’s Bait & Tackle. Our large rental fleet includes sailboats, fishing boats, powerboats, and personal watercraft. We offer sailing classes and events for private groups, too. We are San Diego’s premier fishing tackle store. We always have California and Mexican fishing licenses in stock. We stock everything for Bass, Trout, and Strippers to Tuna, Dorado, and Halibut. We are your one stop fishing shop! Top Brands: Shimano, Diawa, 13 Fishing, Abu Garcia, Accurate, Avet.